Pretty! Where is that? We don't have any waterfalls close-by. We have to go to northwest WI, or up the north shore of Minnesota, to see some! 5 years ago, we got to visit Niagara Falls. As we walked down by Niagara Falls, besides being able to hear the rushing water, we could feel the mist on our faces. You can't get that from a picture! beautiful! Is this in upstate NY? They are in and around Ithaca, NY. The area is filled with waterfalls and is absolutely beautiful! aww taughannock! this was my backyard for 7 years! 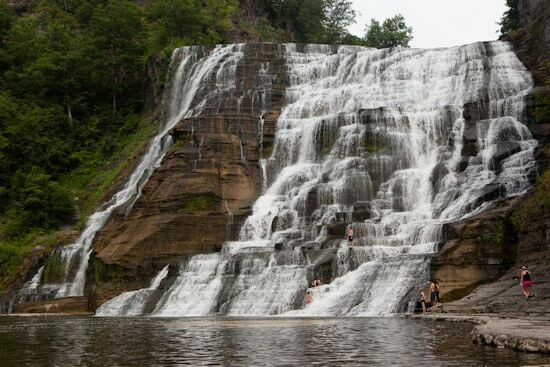 the best swimming holes in north america. So happy to see those pictures! I'm from Trumansburg NY and live close to the falls. I can't believed you were here in Ithaca. 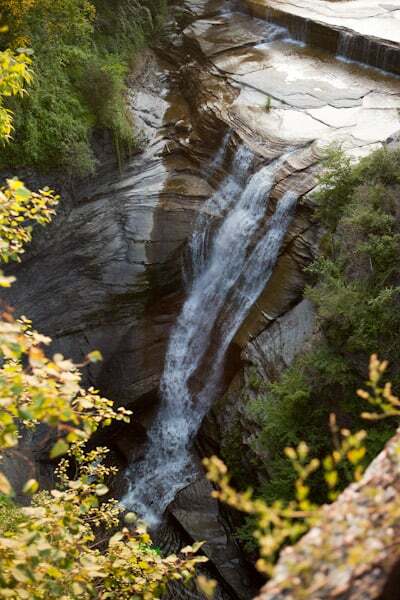 It was a nice surprise to see pics of the falls in your blog. I live in Ithaca and love your blog. Beautiful! I love waterfalls - there is something so peaceful about water, the sound, the look, the feel. 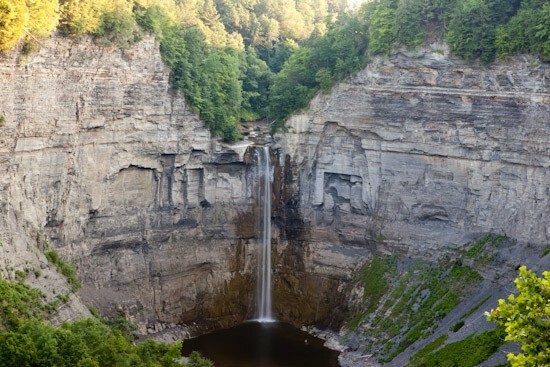 Is that the Taughannock Falls in NY? I have been there once when we were visiting the Watkins Glens and the around the Fingerlakes .. beautiful!! OMG it's Taughannock! I recognized it immediately and it's been 8 years since I've been in Ithaca. I went to college up there and your pics just made me very nostalgic! What an impressive spot! Those waterfalls would certainly beat the heat and make for an enjoyable afternoon outing. Your blog is so lovely. What great taste you have. I live in Fresno and know you do to. So these falls must be from around here, right? Just which falls, I do not know. taughannock, buttermilk and fall creek... beautiful in any season, i'll never forget them. ithaca is gorges. Haha, I saw that first picture and definitely had a waitaminnit..." moment. I live in Ithaca, it's so great seeing it's beauty while I'm stuck in the city for college!